Paul Weller At The Metropolis In Australia! – Paul Weller News! Paul Weller At The Metropolis In Australia! 3 Comments on Paul Weller At The Metropolis In Australia! BRITISH music icon Paul Weller kicked off his Australian tour in Fremantle last night with a rousing show that echoed the sentiment of his latest album Wake Up The Nation. While he is best known as the angry young front man in ‘70s mod and punk outfit The Jam, the 52 year-old, who is often coined The Modfather, was regarded as a key influence on the Britpop movement that spawned bands such as Oasis and Blur. Speaking backstage at Metropolis Fremantle ahead of the show, Weller openly expressed his concerns about Facebook and instant celebrity culture, some of the key themes of his Mercury Prize nominated new album. A keen record buyer, Weller mentioned that he had become a fan of Perth psych band Tame Impala after being recommended the band by the staff at London record store Rough Trade. Discussing contemporary music, Weller said he tries to keep his performances as relevant as possible by including material from his two-decade solo career alongside some songs by The Jam, rather than play a nostalgic ‘greatest hits’ set. The rocker’s Thursday night club performance was added to his Australian schedule after Friday night’s outdoor show at the Fremantle Arts Centre sold out. The extra show afforded devoted fans the rare opportunity to see Weller up close in a traditional and more intimate indoor rock venue. The show featured a broad spread of material from his solo career as well as a scattering of Jam favourites including Pretty Green. A notable exception, however, was Jam hit Town Called Malice, which didn’t get an airing despite two tantalising encores. A mid-set keyboard diversion into Broken Stones and You Do Something To Me was particularly well received, with Weller demonstrating the soul and r ‘n’ b styles he has explored throughout a genre-spanning career. Disco-tinged Style Council favourite Shout To The Top also got a huge reaction from the dance floor, with Weller clearly enjoying playing material from a project that was critically maligned at the time. While the artist’s last album 22 Dreams was a sprawling, psychedelic-inspired double album, Wake Up The Nation clearly has far more urgency and urgency and bite. Backing up Weller’s desire to stay modern and relevant, current tracks 7 & 3 Is The Striker’s Name and Fast Car / Slow Traffic were played with as much youthful intensity and snarl as any current indie band. With this constant evolution, Weller’s 1995 hit The Changing Man proved an apt encore. It would be great if Paul did a whole show of 'Council' numbers…just to wind up all the knobs who write off that period of his career…. Yes indeed! I wish he'd do more TSC songs. Would love to hear how he'd rework some to his current style of playing. Previous Entry When The Modfather Gets A Wake-Up Call! Paul Weller In The Sydney Morning Herald! 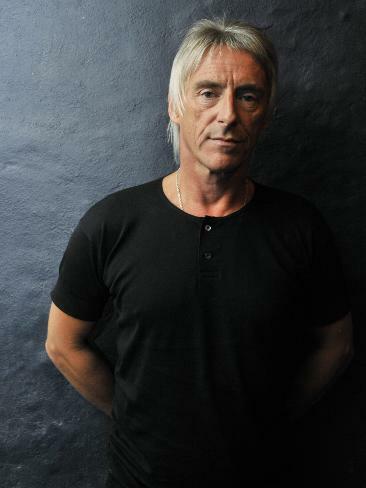 Next Entry Paul Weller At The Fremantle Arts Centre, Australia (Oct 15) Vids!